Saturday was our project/techniques sewing day at Whipstitch and we made the Pintuck clutch from 1,2,3 Sew. I LOVE how neat these little pleats look and I'm planning on making more of these for sure. I will say that the directions didn't make sense to me (I needed more pictures or a diagram for creating the pleat) but once the talented Theresa actually put her hands on my fabric and showed me how to do it I caught on. They really are super easy to do and I'm thinking my next post might be one showing some pictures in case others are visual learners like myself and so I can remember how I did it when I want to sew another one two months from now. I figure if I make one more AND take pictures along the way, surely that will cement in my brain...right? Hopefully! This was some lovely home dec weight Anna Maria Horner fabric and instead of using the same fabric for the lining I chose a Kona solid that matches the orange leaves on the front. I also added fusible fleece to the lining panels - I know some find it too padded but I like the structure it gave this bag. I might try canvas on the next one just to see what the difference would be. No, we're not making cute patchwork zipper pouches - the tutorial can be found here and it's a different way of assembling the pouch with the zipper and I LOVE it - you can do it without a zipper foot! That's a little going away gift for one of our favorite Whipstitch girls - we'll miss you Clare! Just a *few* of my favorites put into a mosaic on Flickr - it was tough to pick just 16 since I have literally hundreds in my faves. Elizabeth from Don't Call me Betsy and Megan from Canoe Ridge Creations have come up with a swap for all us solids lovers and I am SO excited! It was the end of an era, so naturally we needed new bags. My BFF and I have seen every movie together in the theater, since the first one was released 10 years ago. How can it possibly have been TEN years? And on the other hand it seems like truly a lifetime ago. There have been weddings, divorces, new homes, babies, illness and health, joy and despair. Change on every level of our lives. Just as you would expect in 10 years. And through it all has been Harry, the books first and then the movies as an added bonus. I never, ever like the movie as well as the book and I've been known to skip the movie altogether if I truly loved the book but these movies were a delightful exception. True to the books so unerringly that I, we, couldn't help but love them. I remember tearing up at seeing Hogwarts for the first time on the screen, so perfect. I teared up today watching it for the last time. But if I've learned anything from Jo Rowling, it's that the people we love are always with us in our hearts. Plus those books will always be just an arm's length away and there's real comfort for me in that. It was a bittersweet showing and I loved every minute of it. Thanks to a gracious invitation from the Hill people to come and share their mountain retreat for the day, we took a mini-vaca to the mountains with Nana on Wednesday. We had a GREAT day! My child took to the lovely salt-water pool like the proverbial fish to water and we all enjoyed the swimming, playing, snacking and just generally relaxing. Thanks for the invitation Hill people - I'm seriously looking into how much a rental of our own would be next summer. Oh and those decadent brownies I made can be found here - I did sub pecans for the chocolate chips though - I like the crunch! And then of course I forgot the leftovers - DANG! Today, back to the real world and waiting for Shane, our friendly A/C repair man to come. The fact that we're on a first name basis should tell you something. It was tough to get a good photo of these while they were flat (not on my body) but I am SO thrilled that they are done and with how cute they turned out! I'm still trying to work my way through my *many* UFO's but what a fantastic feeling to get a couple done - yay me! Teehee...anyway, I won't tell you how embarrassingly long ago I cut these out but I will tell you that I used the Versatile Wrap Skirt Pattern from Toni Coward over at Make It Perfect (love love love her, sad sad sad she lives so far away). I love how easy this pattern is - except for turning the waist band ties but I get why that's the way to do it. The only change I made was this - I attached the bottom band on the assembled skirt pieces and then folded over and topstitched the skirt and bottom band all together (on the short ends of the skirt). If you read through the pattern this will make more sense - Toni has you finishing them separately and I tried it that way but I didn't like how the stitching didn't match up once they were joined. Doing it my way makes for one continuous line of stitching, which makes my OCD sew-er oh so happy! We're off to Big Canoe today to visit some friends for the day and enjoy some time away from our sweltering courtyard - kiddie pool here we come! Hope you fine something sweet and cool in your day too! This was a joint Mom and Dad project (with also a little help from Uncle Paul - what can I say, sometimes even a simple project takes a village!). This little tent was actually pretty easy to make with wood from our local Lowe's and a fabric panel from IKEA - found in the children's section flat-folded for about $8 - a steal! I saw this on Grosgrain's 30 Days of Free Patterns (I think it was day 11) and knew my little munchkin would love it and she does! It's a great place for hiding, rolling balls through and just general hanging out. I like that we can fold it flat when we're done playing with it and slide it under the bed or lean it again a wall. Oh and see that blur in the left of the photo? That's no super hero, faster than a speeding train, that's just my kid's normal speed. Than your own little cutie wearing something you made just for her! This is the elastic shirred top/dress (it's almost long enough to be a dress but she'll wear some little knit shorts or bloomers under it) that I made at the last AMSG meeting. When I got it home I added some rick rack on the inside at the bottom and white straps that I made from some some white Kona cotton. I know I'm biased but come on, SO cute! And this is the bribe it took to get her to put said dress on and sit for a photo. Just keepin it real folks! I'm thrilled to report that I actually got some sewing done over the long weekend! This bag is the Market Bag pattern from Rebeka Lambert over at Artsy-Crafty Babe. I had been saving this piece of AMH's sketchbook fabric for a long time, just looking for a bag pattern that was big enough to showcase the large print. When Beki did her sample make-over post I realized that this was the bag! This bag is fantastic because it's BIG, I mean big enough for a magazine and your lunch and your planner OR your towel and sunscreen and water and book OR (as is usually the case around these parts) your blankie, snacks, sippy cup and a few hundred matchbox cars. The size is just so practical and great! And yes, it would make a wonderful bag for the farmer's market (not that a dirty vegetable will ever touch that AMH fabric). The lining is a print from City Weekend and I added a layer of canvas between the lining and exterior fabric as Beki suggests in her post - the only thing I would do differently is that I made the canvas lining the exact same as the front and back fabric panels and next time I would leave the pleats off the canvas. It just made doing the top stitching around those pleated areas super hard because all those layers were so bulky. No biggie - just a little change for next time. I also added a pocket on the inside because otherwise I'd never see my phone again :-) I loved this bag and I can see myself making more of them! It's available in pdf form from Beki's etsy shop and it is one of the easiest pdf files I've ever printed and taped together - this girl knows her stuff when it comes to pattern design. It's also an easy enough bag for a beginning sew-er to make and feel successful! And here's a little tip I picked up at one of our AMSG meetings: cut out the piece that shows where the dart goes, then you can trace around it exactly with your marking pen or chalk. I laid mine on the pattern to trace the outside edge too so I got the shape right when cutting around the edge of the bag. This made getting the shape for the darts incredibly easy! Hey there! June passed in a blur but I'm thrilled to report that we made progress in some of our, ahem, problem areas. Our other house is finally really and truly cleaned out and listed for rent - whoo hoo! Then I used a chunk of the almost two weeks that my husband was gone for work to attack our garage that has looked like a Hoarder's episode since we moved in and it looks WAY better! 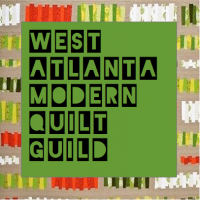 So I was able to go our Atlanta Modern Sewing Guild feeling great about taking a few hours for myself. The lovely Theresa from Whipstitch taught us all how to use elastic thread and folks, it was just as easy as everyone said it would be! In fact, it's my new favorite thing! The tips I can share are 1) don't pull your thread while you are winding your bobbin and 2) make sure you keep your stitch lengths short, around 2, longer stitches just don't give you enough elastic for the stretch you'll need. I printed out the pattern from Heather Ross and then just made my first version with just a large rectangle. I'm going to make the next one with her pattern to compare. I got a little top made for H which she of course took one look at and said "NO, NO, NO!" in perfect almost-two-year old fashion :-) But I'm sure she'll come around sooner or later. Here's my finished dress, with straps and everything - LOVE it! So comfy and I like the fact that I won't see 12 other people wearing it! The fabric is Momo's Freebird from Whipstitch, and I know they don't have anymore (because I bought the last of it) but you could probably find some on etsy. The colors were so perfect for me, I just couldn't resist! Our next sewing days for AMSG at Whipstitch are July 9th, 8AM - noon (open sewing, bring whatever project you like) and July 23rd, also 8AM - noon. We picked our project for the 23rd which is going to be the Pintuck Clutch from Ellen Luckett Baker's Sew 1,2,3 book. Several of the girls have already made one and it is adorable - think possible holiday or birthday gifts. You will need a copy of Ellen's book which you can find at Whipstitch or amazon or where ever you like to buy books. 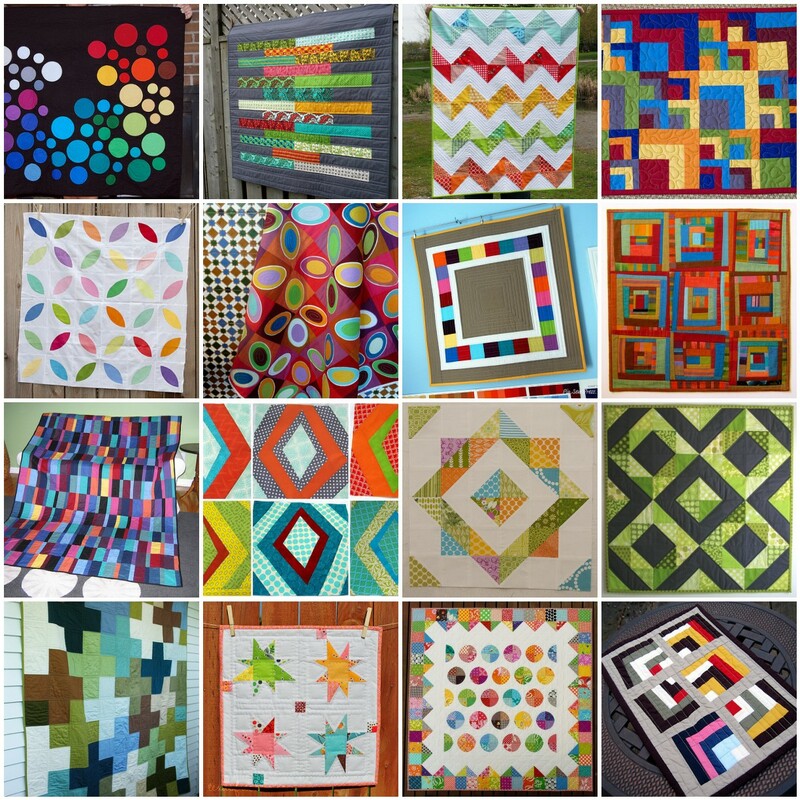 I can tell you it has a ton of great projects that will help you build your sewing skills and give you adorable finished products. Plus I like supporting our local sewing peeps! If you haven't made it to a meeting yet we would love to have you come join us! We're on facebook now as well (thanks to Melissa) or you can contact me to be added to our email list if you'd like to be added to our email list. Hope everyone has a great Fourth of July!